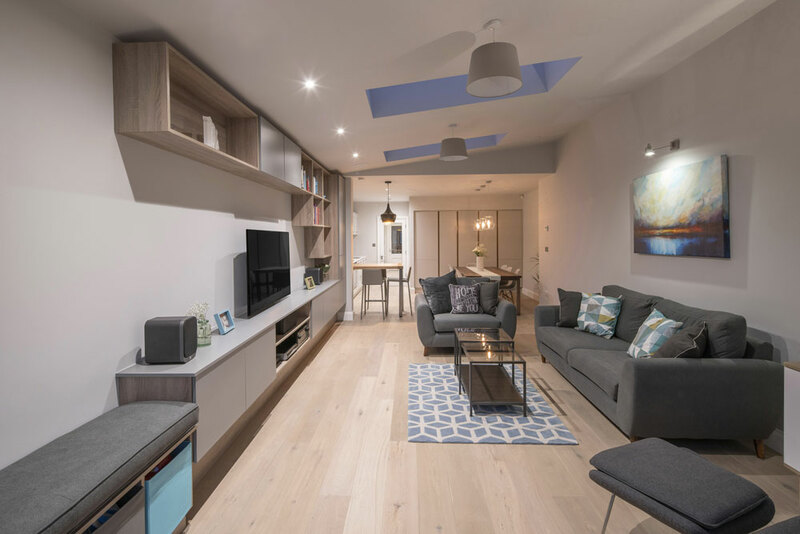 Extension, partial refurbishment and internal alterations to existing terraced house in Ballsbridge, Dublin 4. 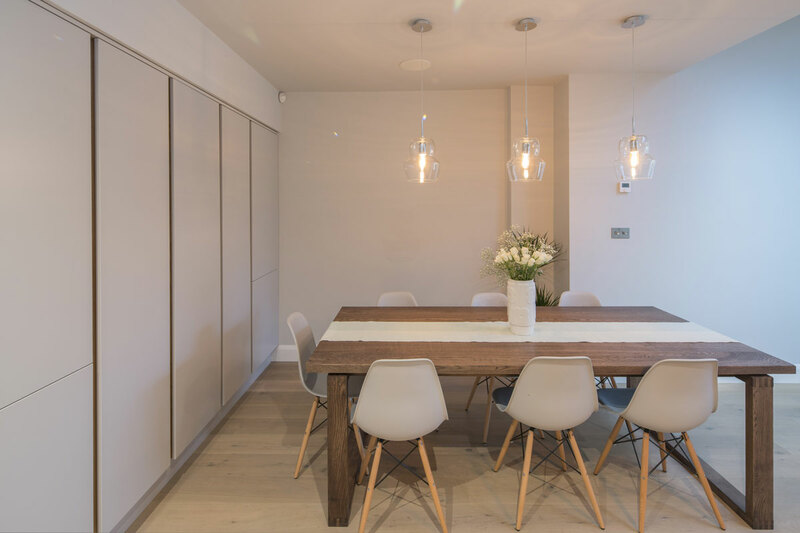 This project involved extension, partial refurbishment and internal alterations to an existing terraced house. 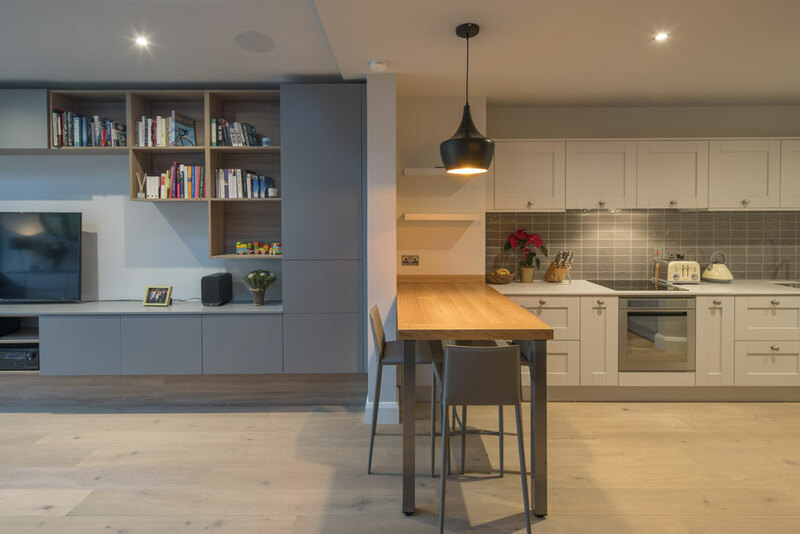 The existing house required additional combined kitchen / living space at ground floor level. This is a single storey sloped roof structure to minimise any loss of light to adjoining properties. 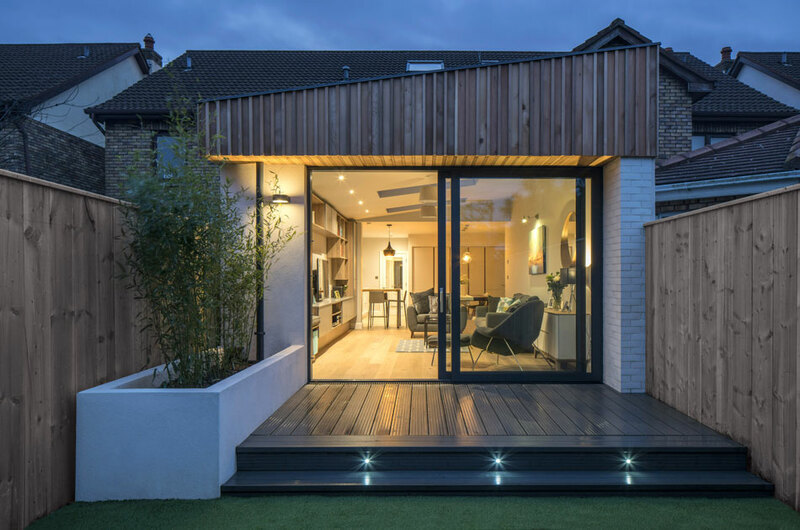 Cedar cladding and white bricks were selected to match the proposed landscape design. 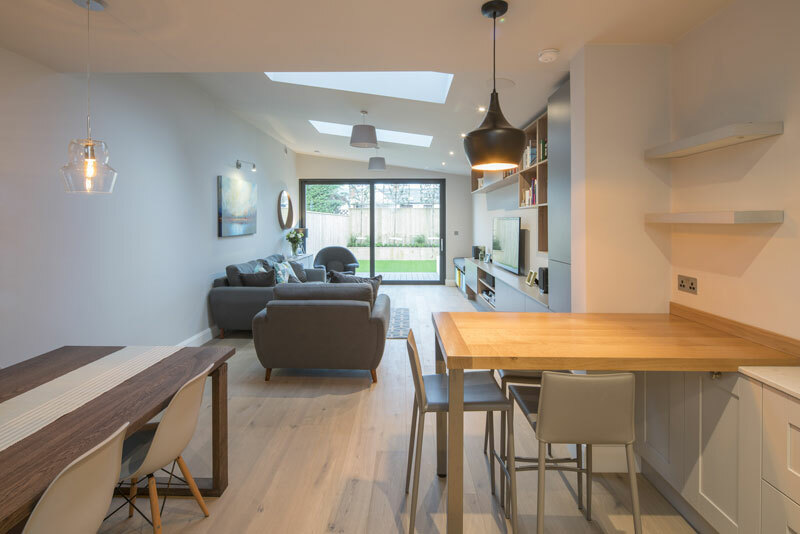 Two large flush rooflights were positioned to maximise natural light.